Just in time for winter! 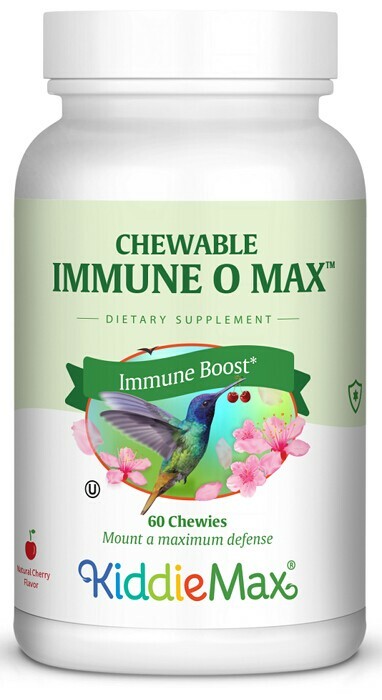 Chewable Immune O Max™ to the rescue. Immune O Max™ is our new recruit into the army of Maxi Health’s winter arsenal. It’s the immune boost you and your family have been waiting for and it's just in time for the cold and flu season. EpiCor® is a natural source of poly phenols, antioxidants, beta glucans which support the existing antibodies in the mucous membranes which battle invading germs where they enter. Vitamin C and Zinc Citrate for even more effective results. It’s time to mount your defense. This cold weather season, give you and your loved ones the edge in the battle against the weather! Take two (2) chewies daily, or as directed. Other Ingredients: Fructose, xylitol, maltodextrin (from corn), stearic acid, magnesium stearate, silicon dioxide, monk fruit extract, and natural black cherry and vanilla flavors. This Product contains NO animal products, wheat, yeast, gluten, soy, milk, salt, artificial flavors, colorings or preservatives.